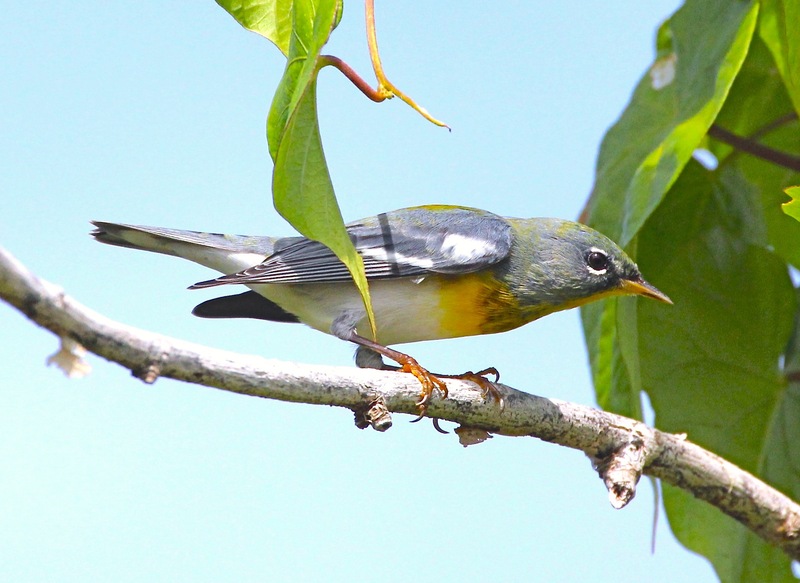 The Northern Parula is one of 37 warbler species recorded for Abaco. 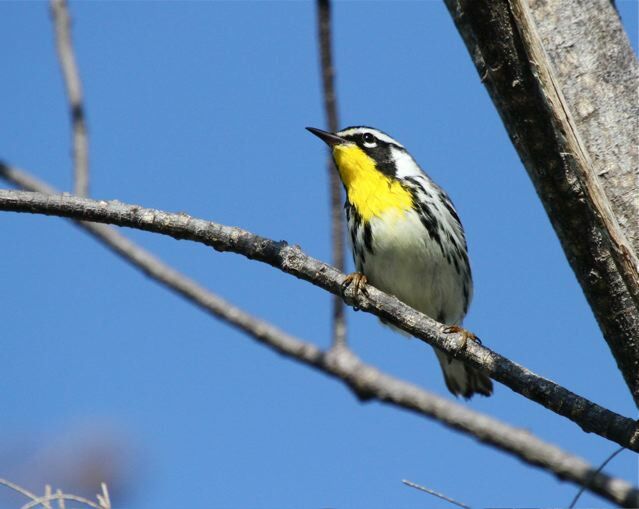 The vast majority of these species are migratory, arriving in the Fall and leaving in the Spring to fly north to the breeding grounds. 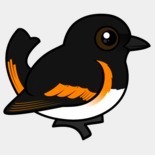 When I’m back at HQ from my computer-free break, I’ll be writing more about these little birds. Meanwhile, this post is a reminder that the influx will begin very soon. 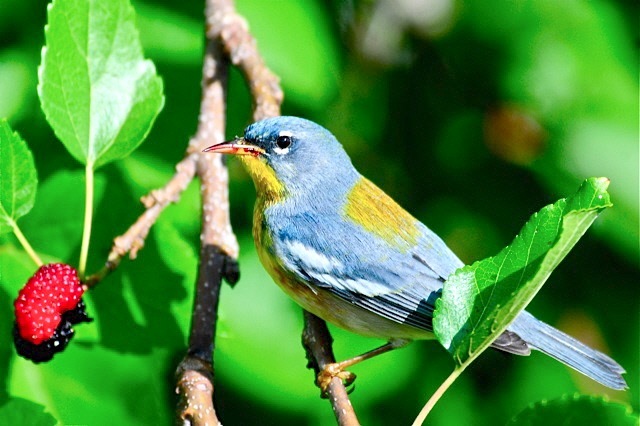 The Northern Parula, with the distinctive green patch on its back, is sure to be among them. 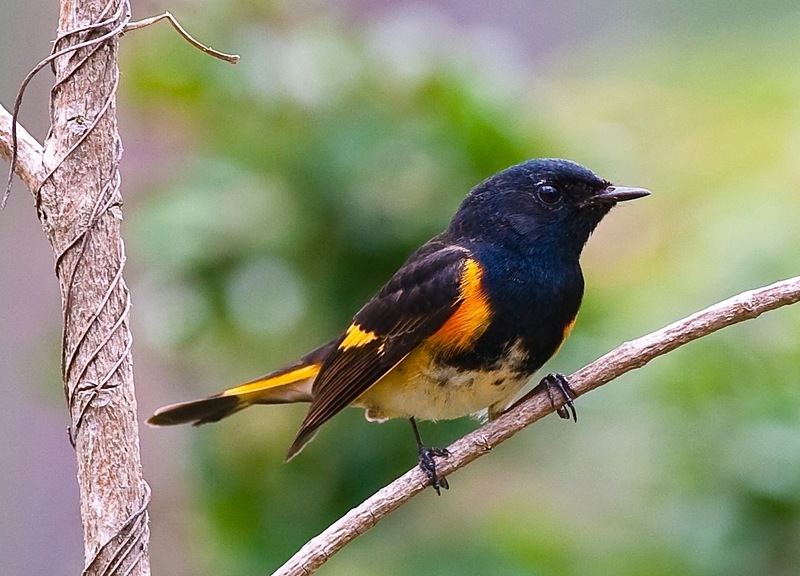 Time to rectify an omission and to feature the striking orange and black male American Redstart Setophaga ruticilla. 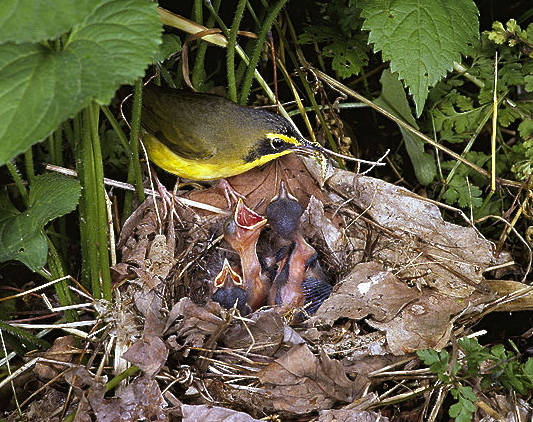 A while ago I posted about the equally distinctive yellow and black females HERE (the dissimilar colouring between the sexes of these little warblers is due to differing carotin levels in each). 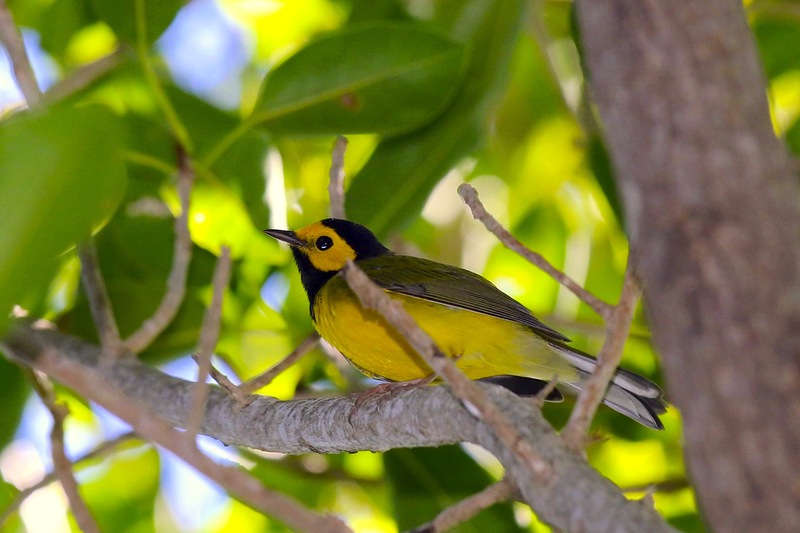 These unmistakeable winter residents are common on Abaco. 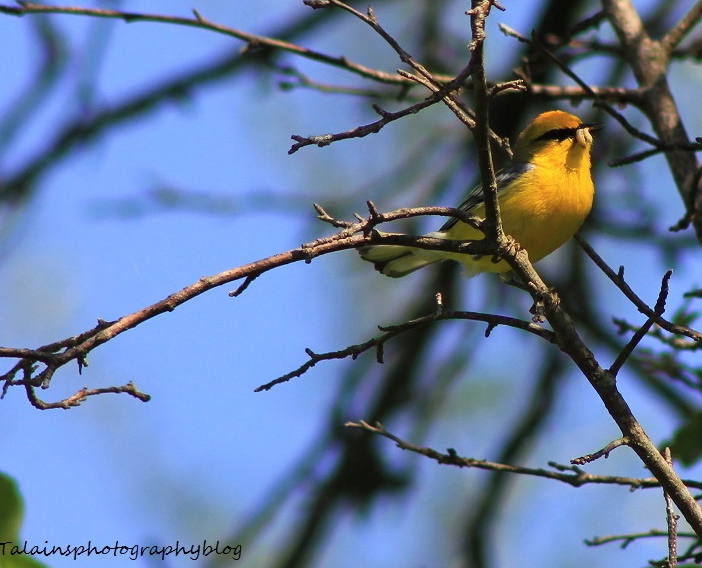 They are an easy warbler for new birders look out for, being unlike any other small warblerish-looking bird. 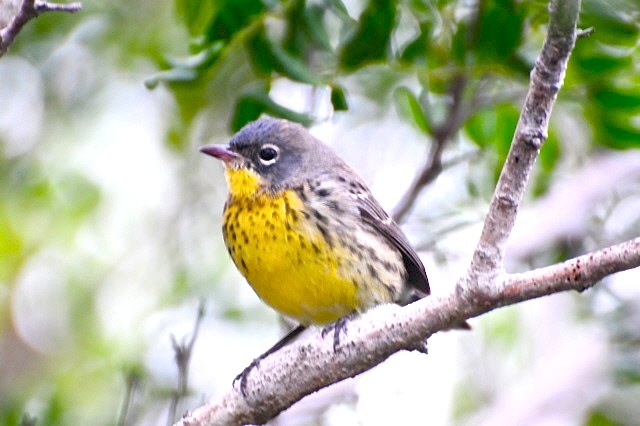 All the birds here were photographed on Abaco. 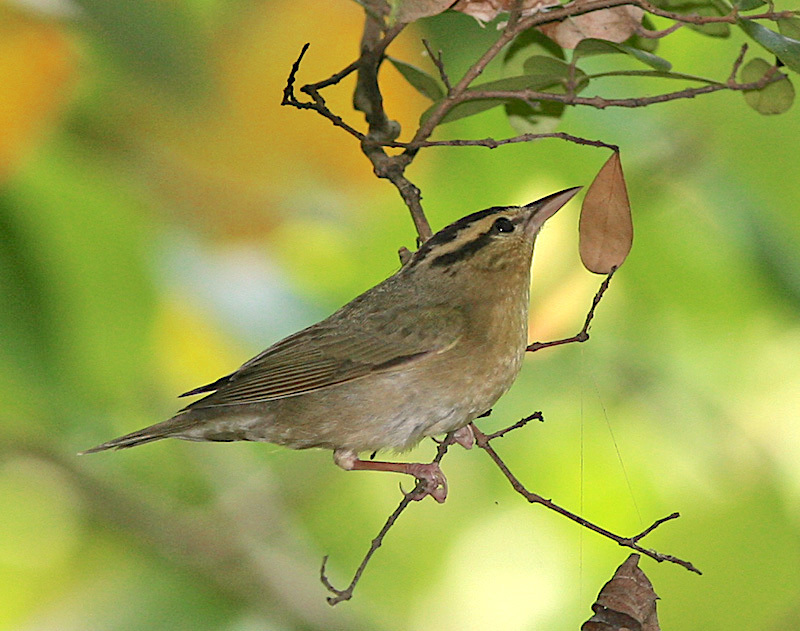 The little worm-eating warbler (Helmitheros vermivorum) is unique. 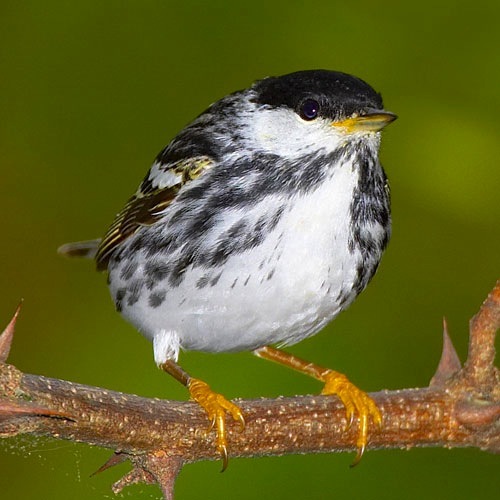 Not because of its worm-eating propensities or its warbler-ishness (or the combination), but because it is the only species currently classified in the genus Helmitheros. 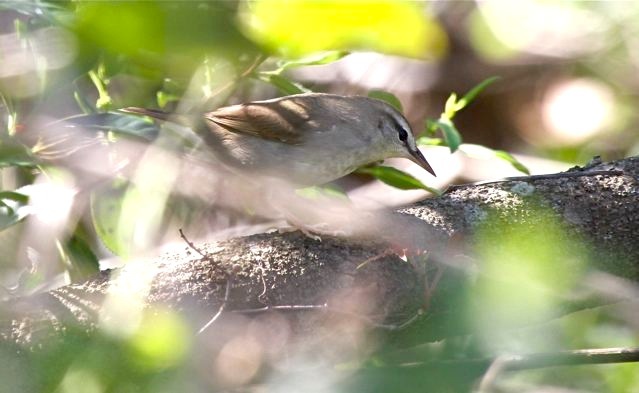 The Swainson’s warbler was once in the same genus, but the WEWA saw off the competition. SO WHAT IS A HELMITHEROS THEN, IF IT’S SO SPECIAL? The word is Greek, meaning something like ‘grub-hunter’. And the Latin-derived vermivorum reflects the diet of a VERMIVORE – an eater of worms. But this description is, like a worm, somewhat elastic. It includes caterpillars, larvae, grubs, spiders and similar creatures. 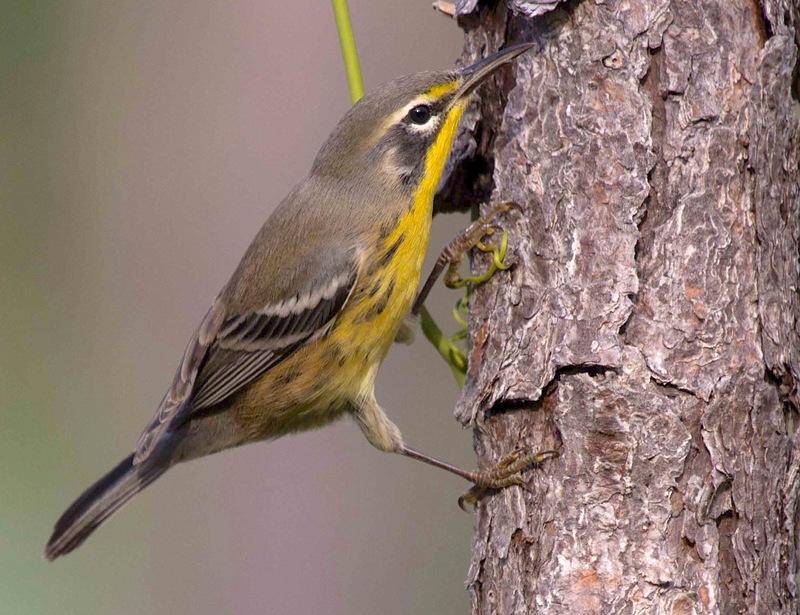 But whereas there are other warbler vermivores there is only one Helmitheros. 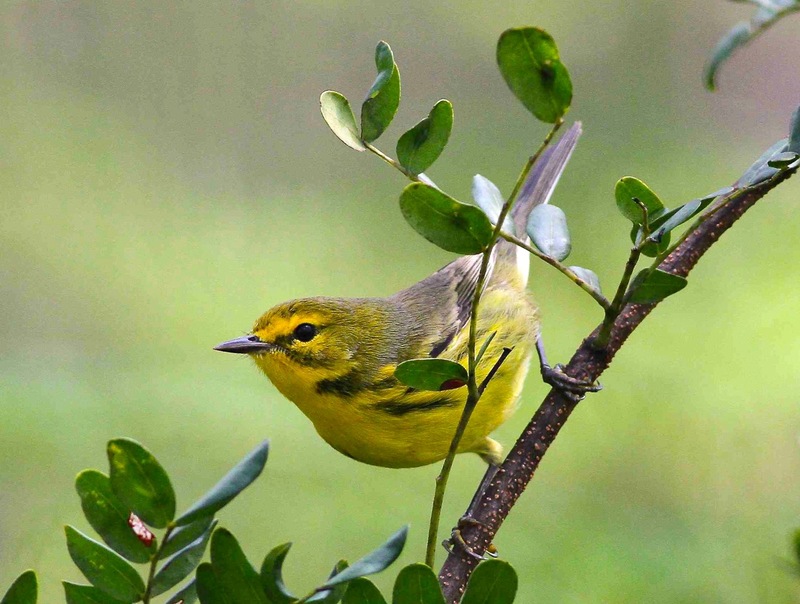 The breeding range of the worm-eating warbler covers much of the eastern half of the US as far south as the Gulf Coast. 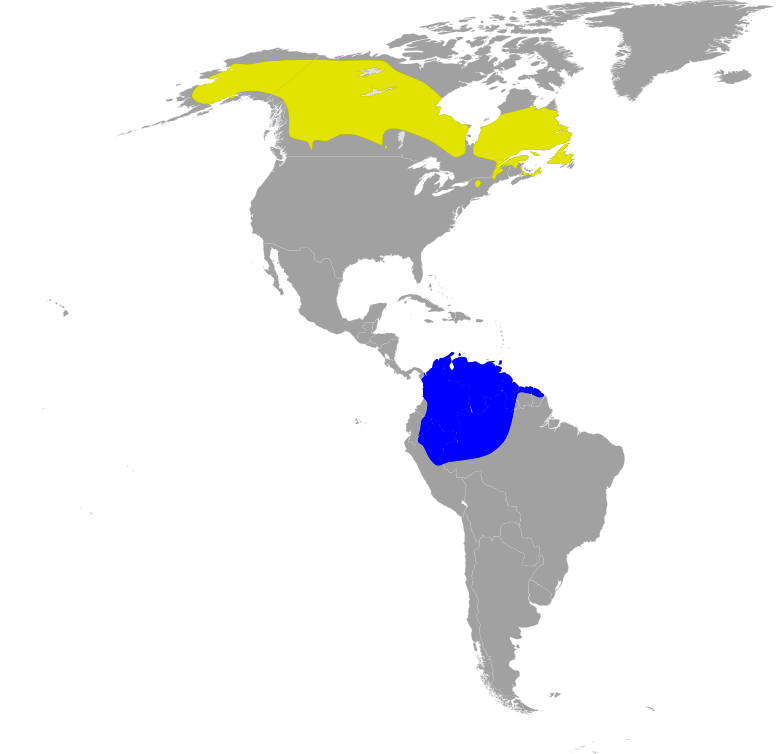 It winters in the West Indies, Central America and southeastern Mexico. There is no overlap between summer and winter habitat. 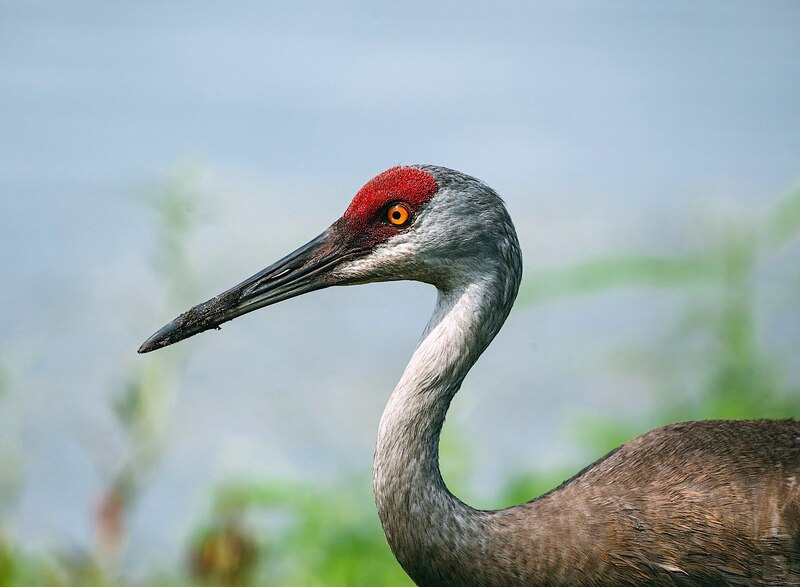 Because of the vulnerability of this ground-nesting species to a number of threats (see FACTS above), they are now IUCN listed as ‘Special Concern’ in New Jersey. 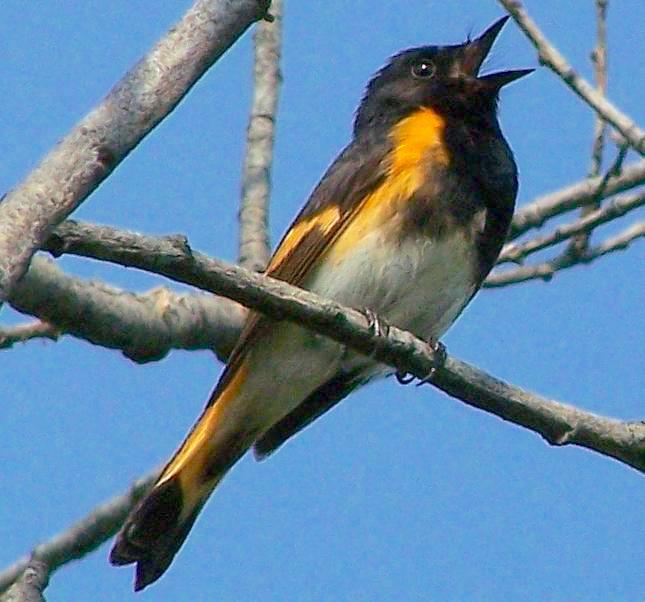 In this case the song and call, as transposed into human, really does sound like the bird itself. The song is a rapid squeaky trill; and the calls for once do actually sound like ‘chip’ or ‘tseet’. See what you think. 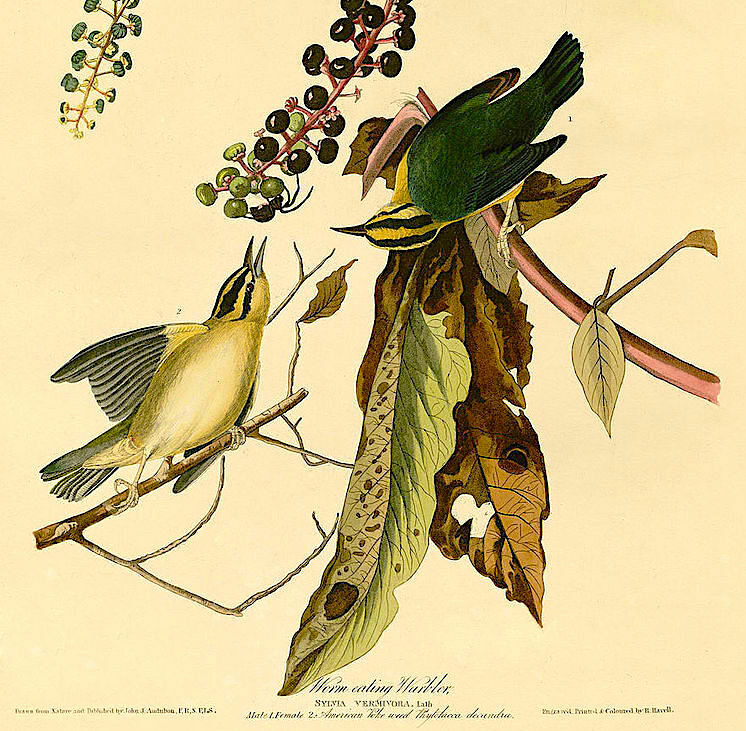 It is always instructive to look at Audubon’s fine depictions from the early c19. Here is his WEWA. Notice that it is here called Sylvia vermivora. 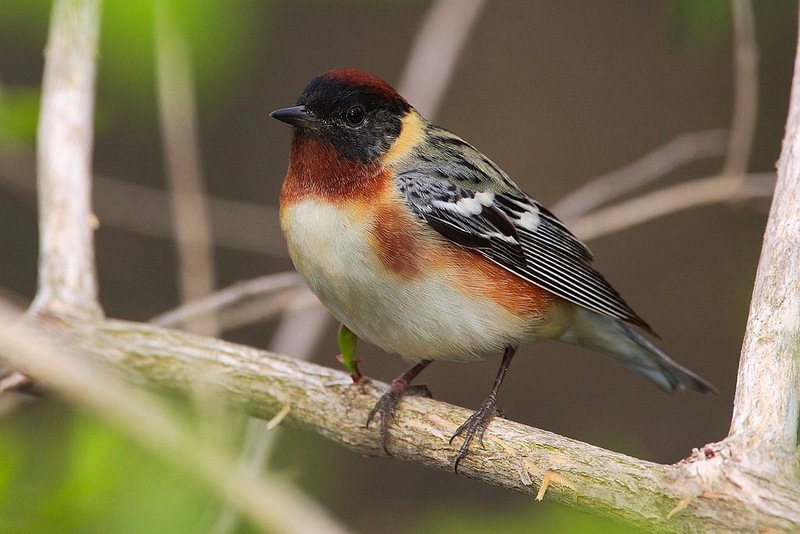 So he had the worm-eating part, but the first part of the name rather strangely relates to a group of old-world warblers. No, I’ve no idea why. 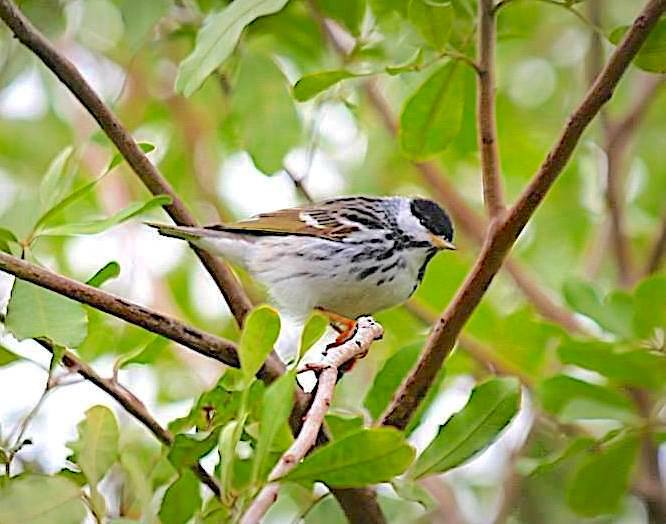 The Blackpoll Warbler Setophaga striata is a “TR3” on Abaco. 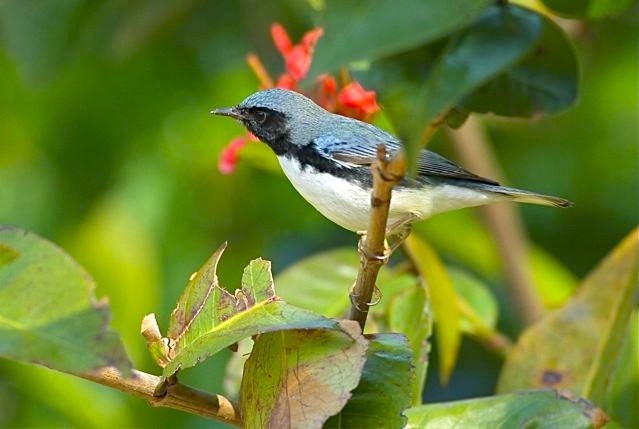 Which is to say, the species is classified as an uncommon transient in its migration, and as such it is rarely seen on Abaco. 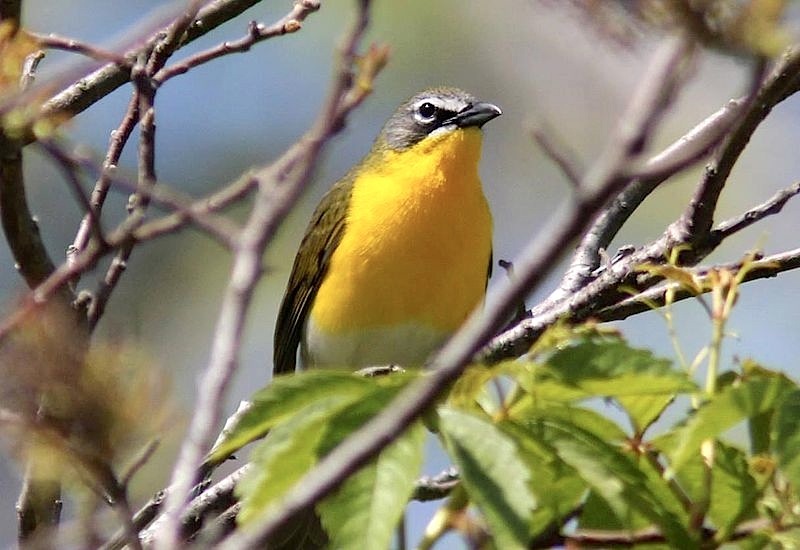 Apart from anything else the window of opportunity of seeing one in the Fall or in Spring is limited by the length of time they pause on Abaco to catch their breath. 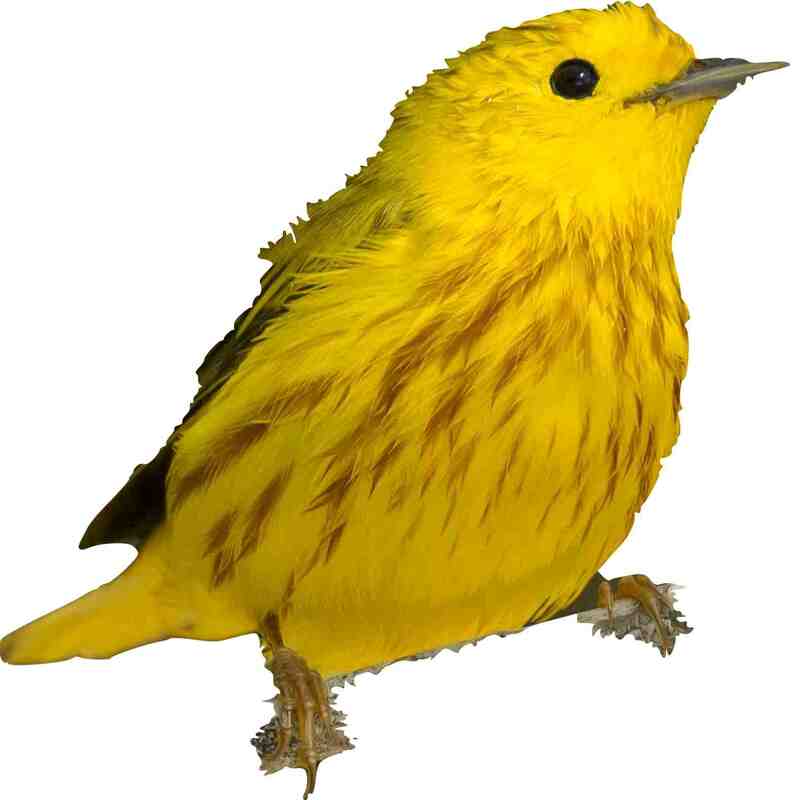 Also, they are small birds that do not draw attention to themselves. 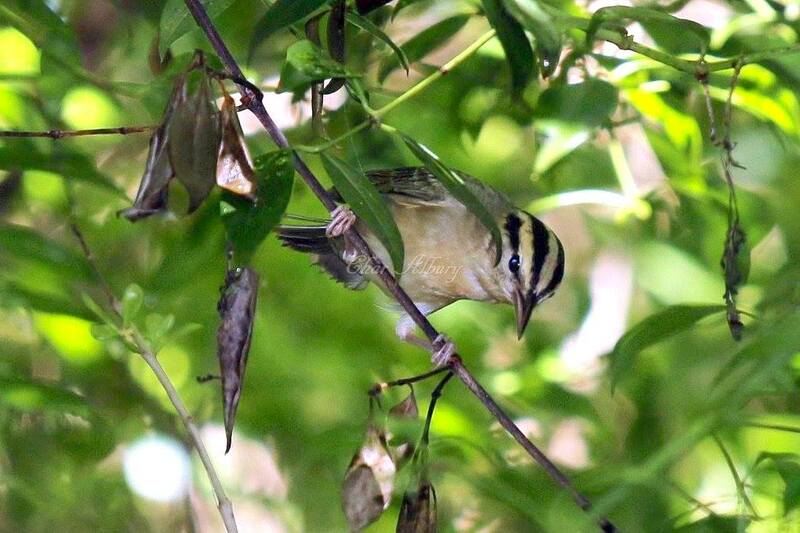 They hang around in the coppice foliage rather than parading out in the open; and their call is a tiny ‘tsip‘ sound (as with so many other small birds…). 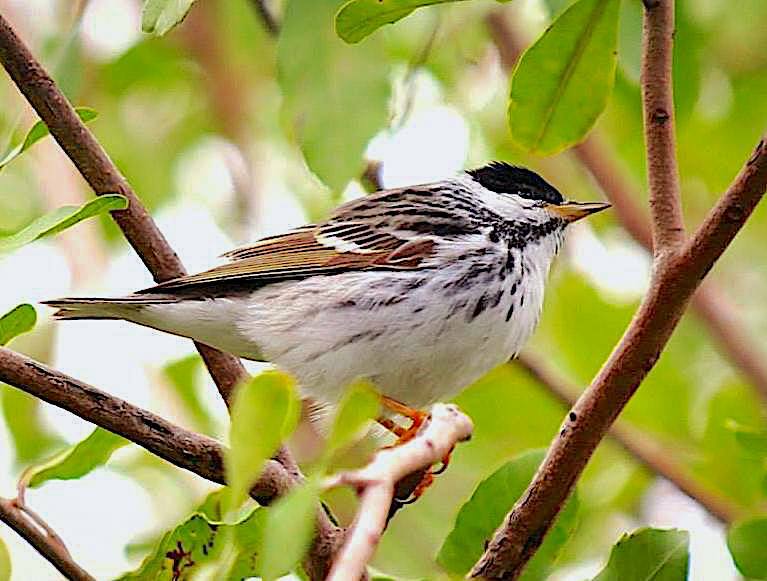 Fortunately, on Abaco’s warbler magnet Man-o-War Cay, alert birder Charmaine Albury was out and about with her camera to record a sighting. 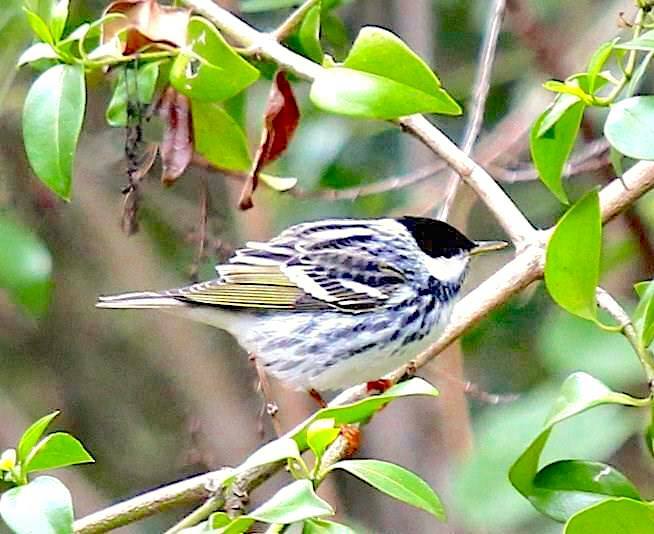 I should say that during the writing of THE BIRDS OF ABACO, I never managed to obtain a single image – however poor – of a Blackpoll Warbler actually taken on Abaco (a qualification for inclusion) from any of the many sources I used. 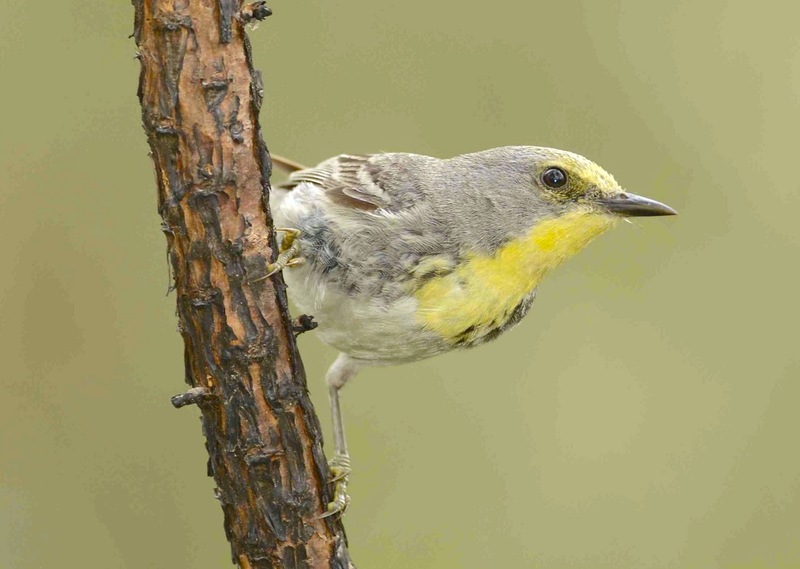 So sadly, this pretty warbler does not feature in the book. 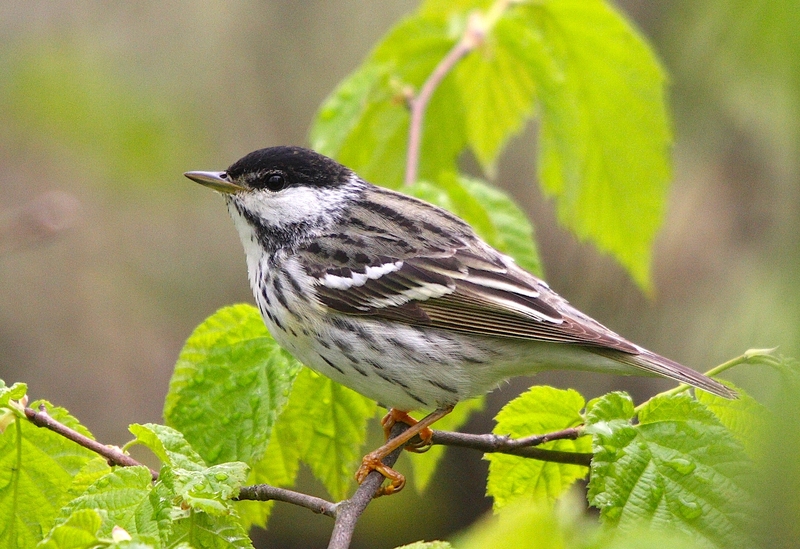 Despite their diminutive size**, blackpoll warblers generally undertake their long-distance migration – often over open water – non-stop or with a single stopover. 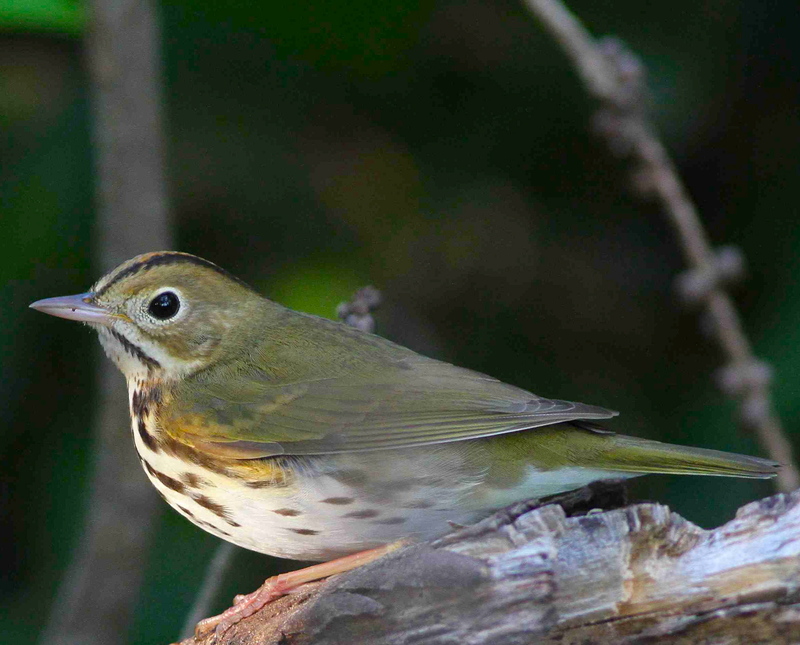 Their migration has been the subject of many scientific studies. 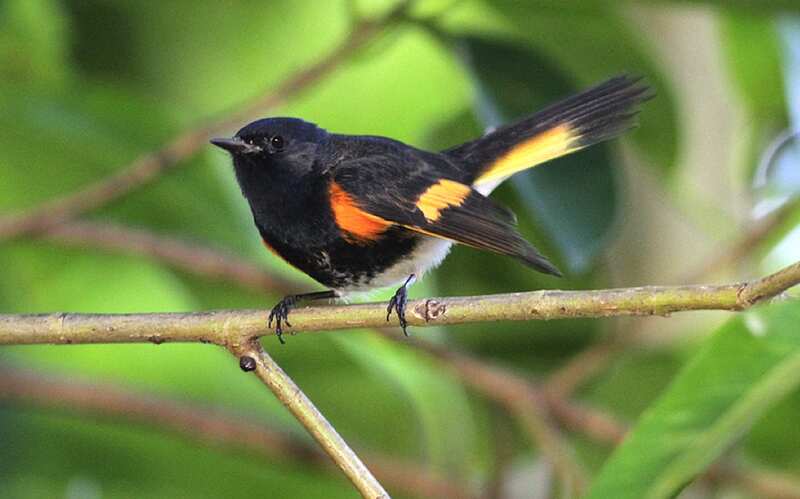 One of the longest distance non-stop overwater flights ever recorded for a migratory songbird was made by a BLWA. 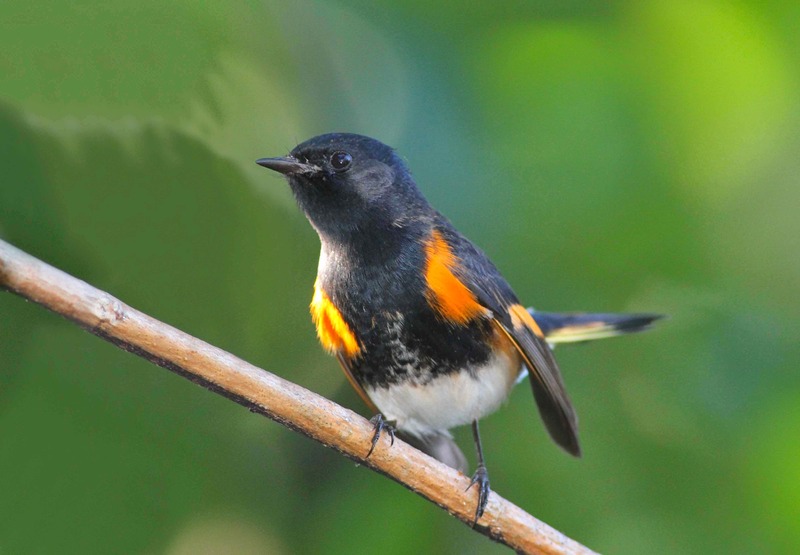 Which all goes to explain why the species is so rarely seen along the migration route: unlike many migrating birds, they make few, if any, stops along the way. Of the many stats I have read through, I chose one to demonstrate the stamina of these little birds. 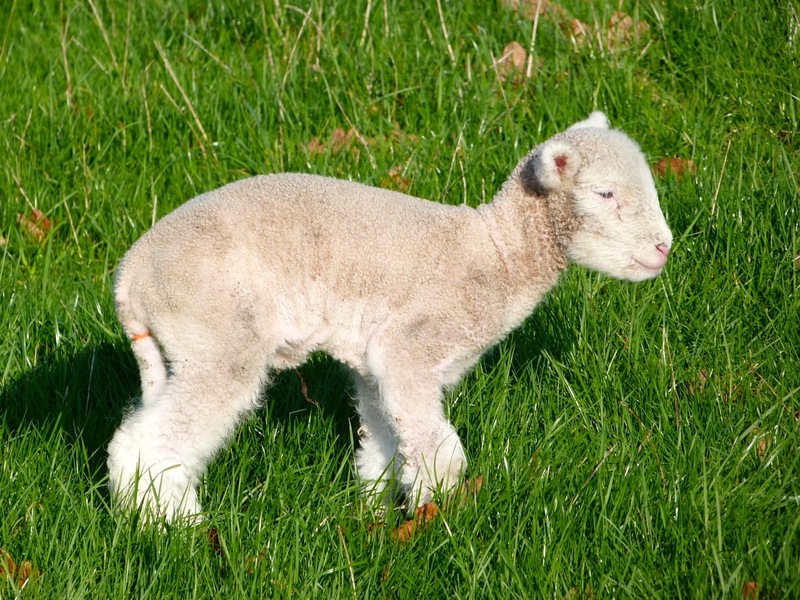 In one study, an number were fitted with tiny geolocators. 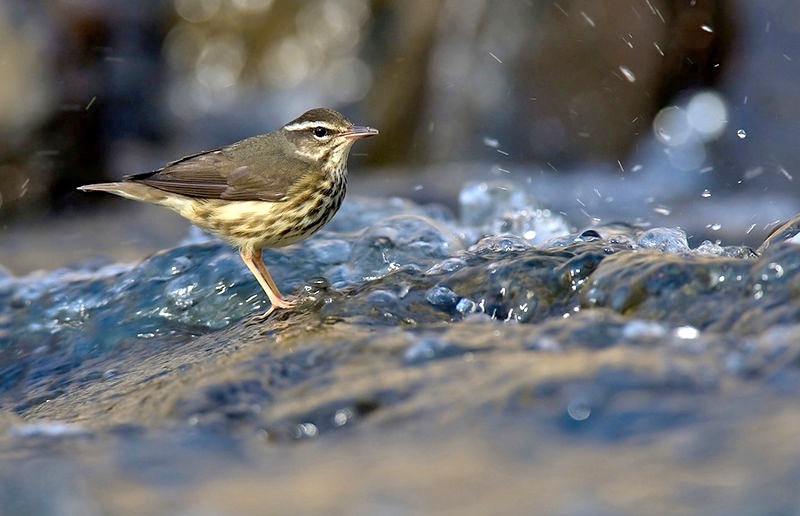 These revealed an average migration journey of around 1600 miles, with the non-stop trip being completed in 3 days by at least one bird. 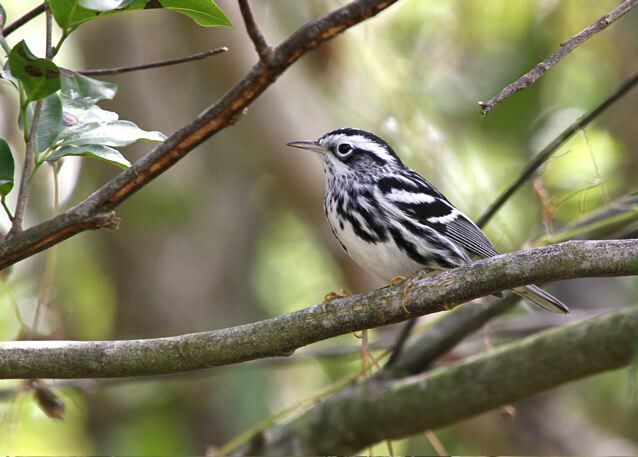 The maps above show blackpoll warbler migrations recorded for 5 birds in a study that indicates that, while a direct overwater route is preferred in the fall migration, the return journey in spring is more leisurely, and overland (it looks as though only 3 birds made it home). YOU MENTIONED THAT THEY GO ‘TSIP’. WHAT DOES THAT EVEN SOUND LIKE? 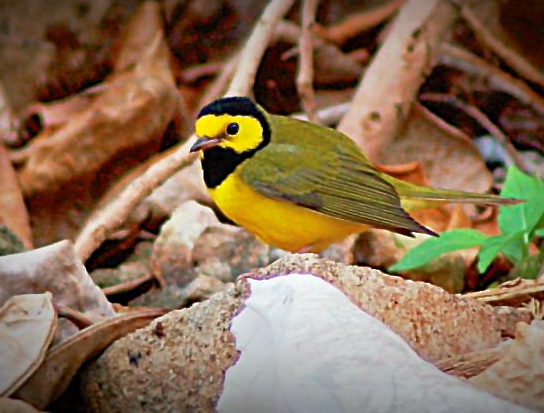 The Hooded Warbler (Setophaga citrina) breeds in eastern North America in summer, and winters in Central America and the West Indies. 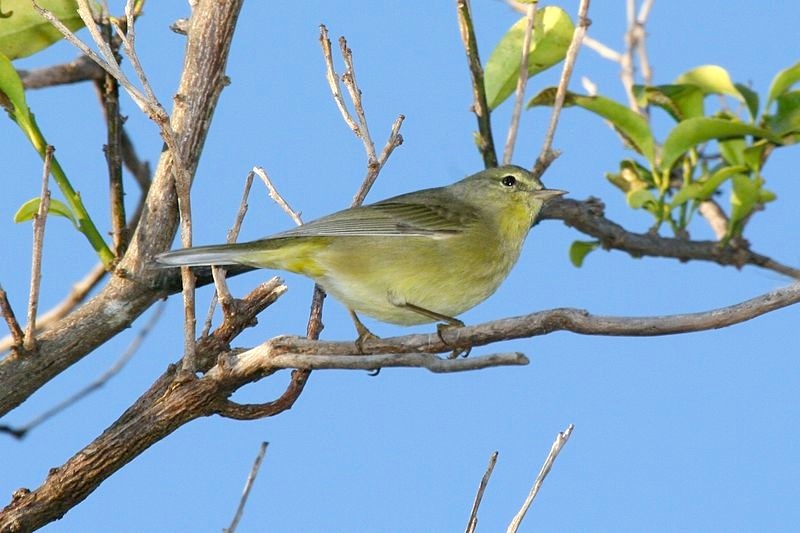 On Abaco they are classed as WR3, ‘uncommon winter residents’. 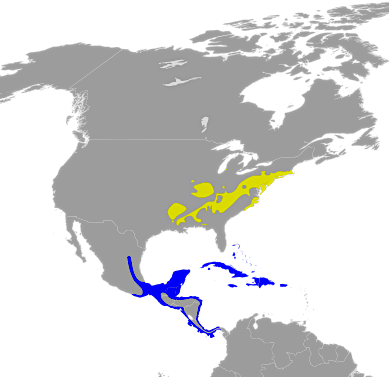 The range map below reveals one strange aspect of their habitat. It looks as though they choose not to live in Florida either in summer or winter. 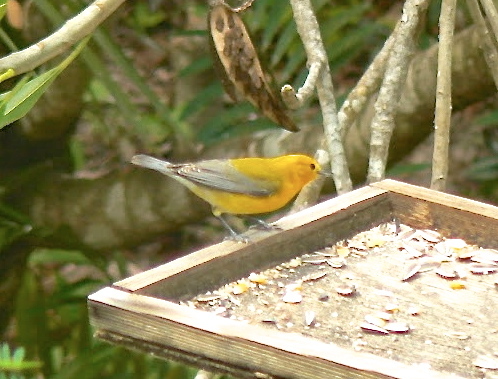 I’m sure they must be found there as transients; and there must presumably be some small breeding or wintering populations in Florida. Or both. But it’s hard to understand why Florida does not seem to suit them. 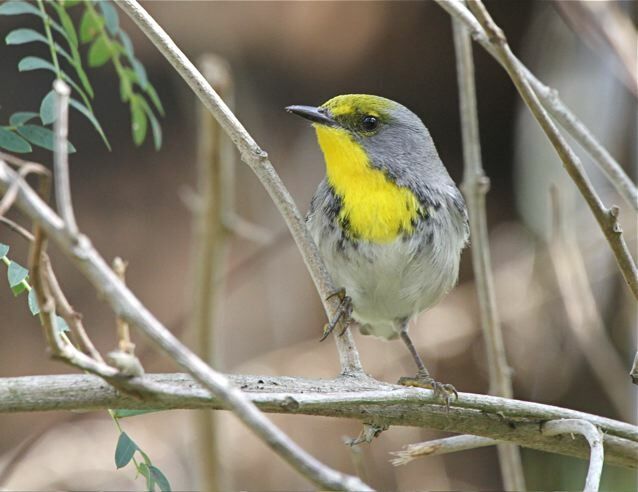 On Abaco, I have only ever had reports of Hooded Warblers from Man-o-War Cay, which seems to be a warbler hotspot every season. 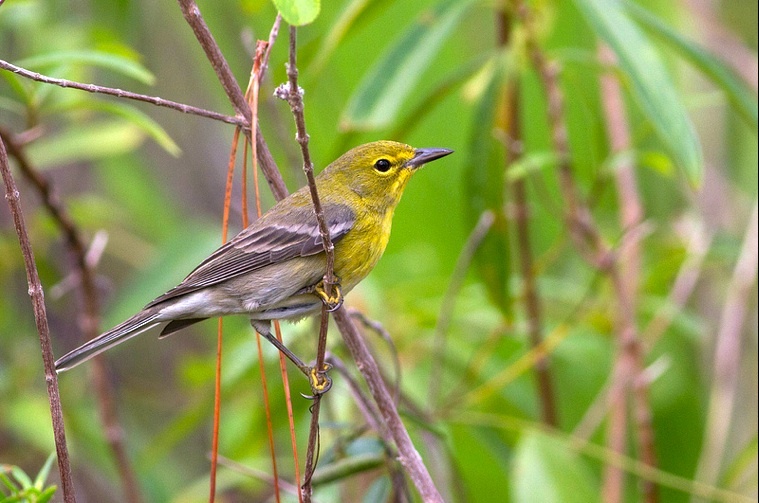 There are 37 WARBLER SPECIES recorded for Abaco. 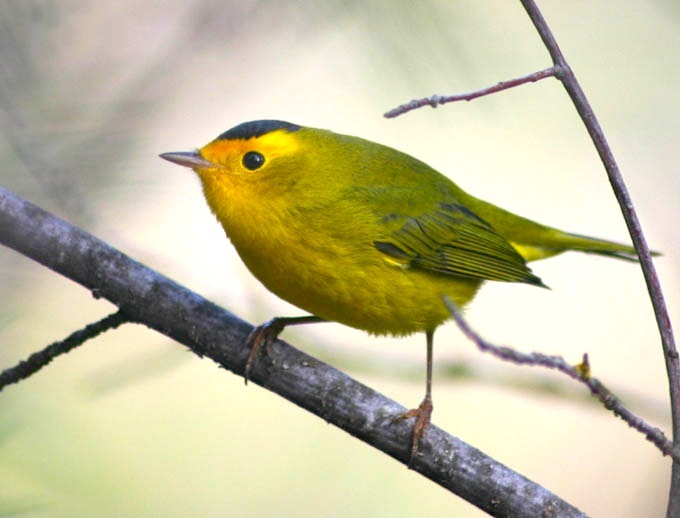 FIVE WARBLER SPECIES are year-round residents. Of the migratory 32, at least two dozen seem to favour Man-o-War for their winter break in the sun. 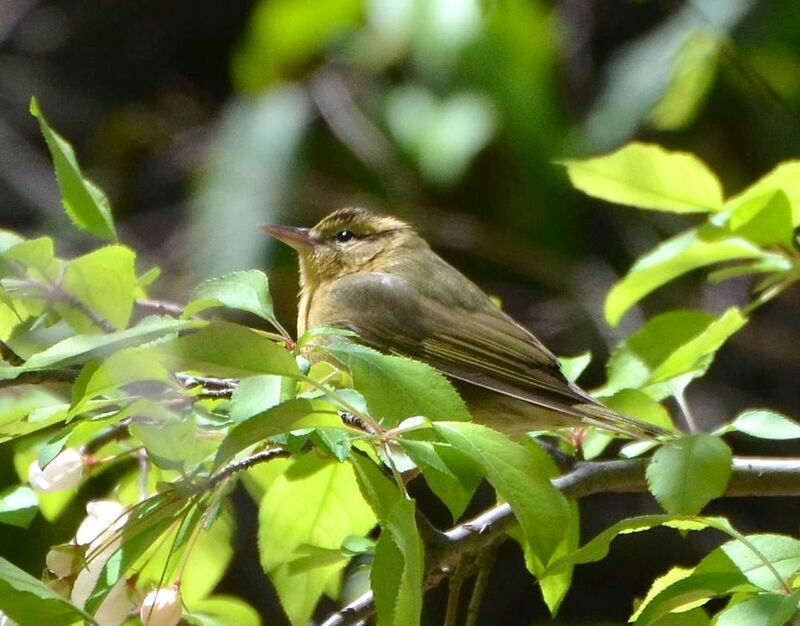 MoW resident Charmaine Albury, who took the main photos in this post, has already counted 14 different warbler species before the end of September. 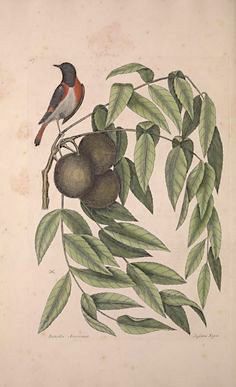 She has found up to 5 species in a tree at the same time. 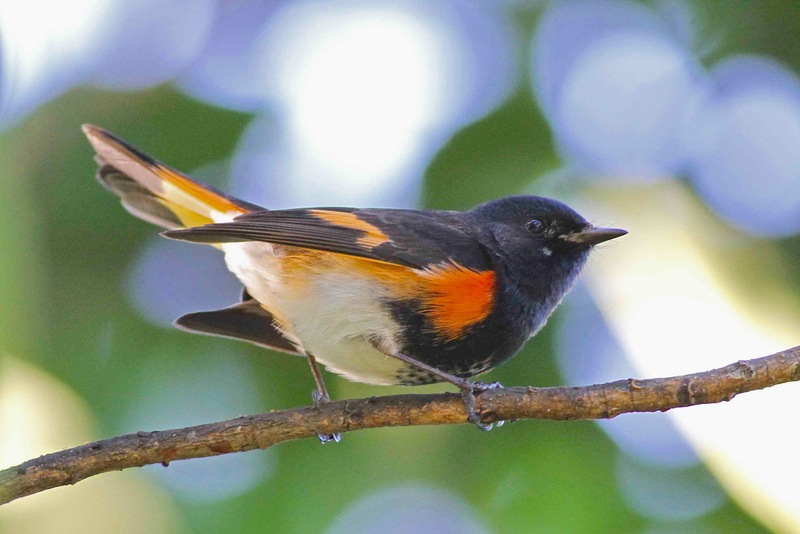 There are periodic upheavals in Birdland which, following research, lead to an official reclassification of a particular bird species or genus. 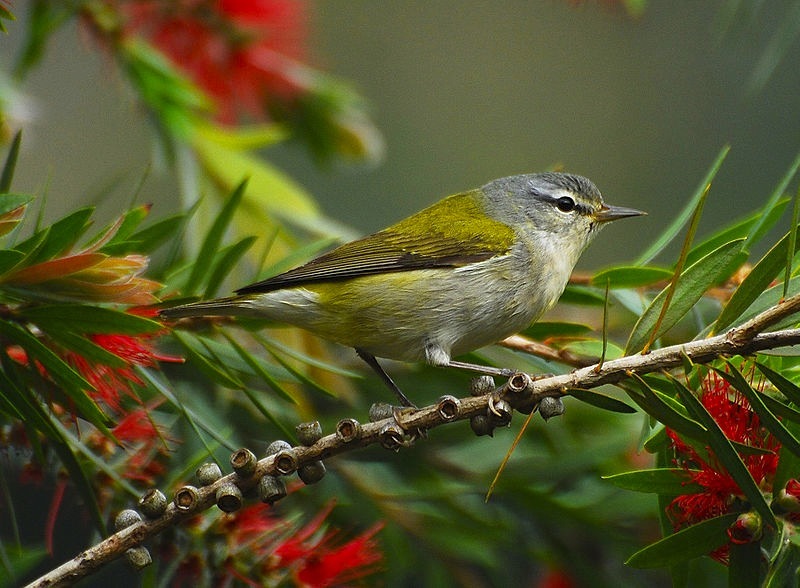 In 2011, many warblers that were cheerfully going about their business under the classification Dendroica found themselves merged into the older ‘priority’ genus Setophaga (Greek for ‘moth eating’). 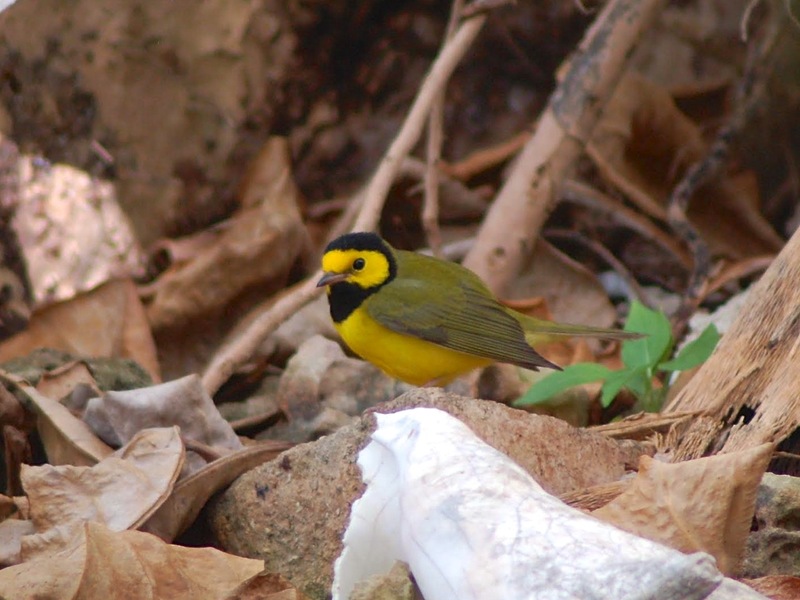 The Hooded Warbler, formerly Wilsonia, has found itself similarly merged into Setophaga – a kick in the teeth for the naturalist ALEXANDER WILSON, for whom the bird was named (along with many others – his plover being a well-known example on Abaco). 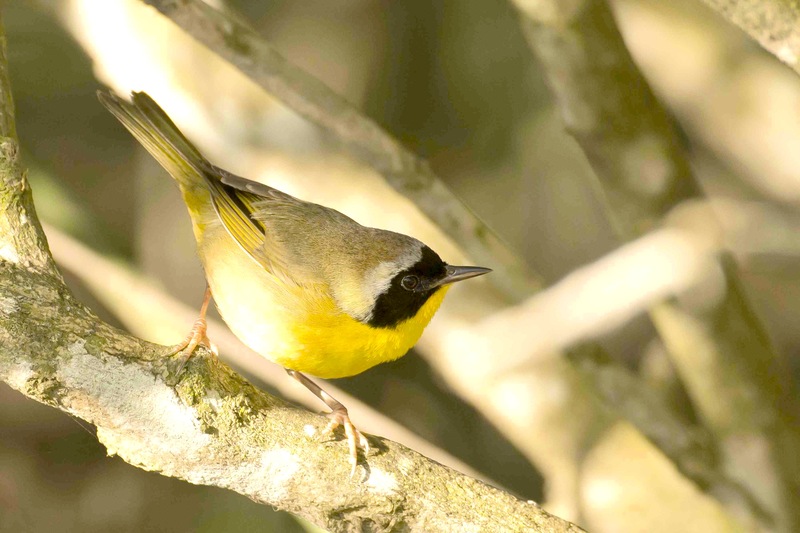 The word relates to lemons – citrus fruits – and their colour, and is undoubtedly apt for the hooded warbler. However the semi-precious calcite gem, ‘Citrine’ (same word origin) is not lemon coloured but (disappointingly) brownish. 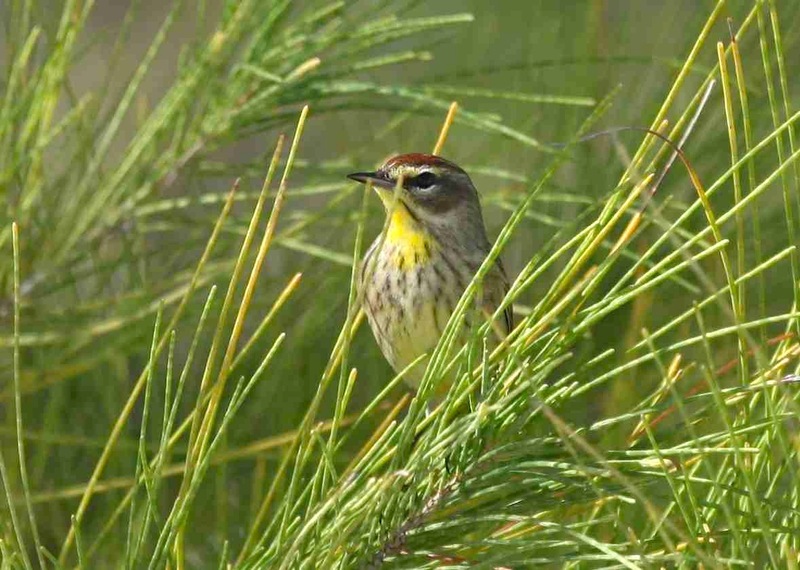 This little warbler has a plain olive / greeny-brown back, and a bright yellow face and underparts. 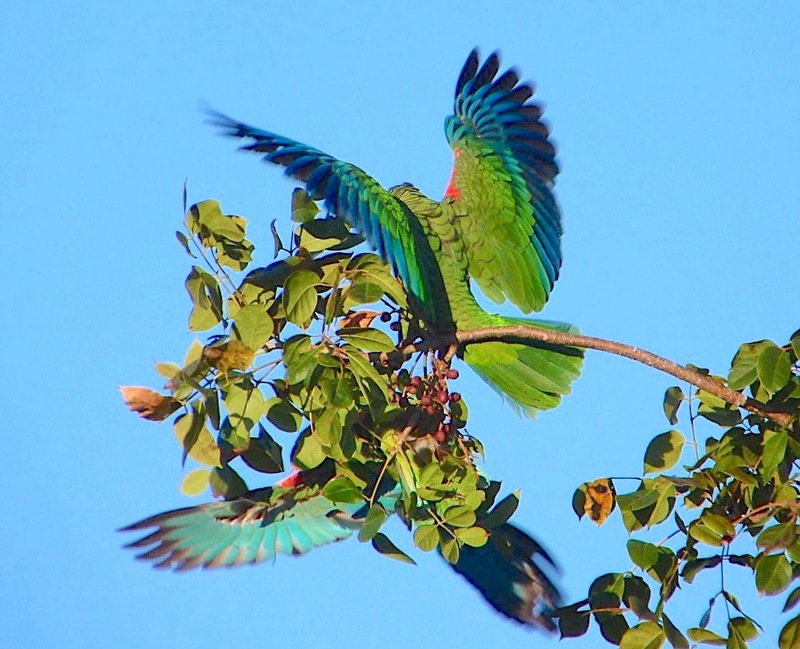 There are white feathers on the outsides of their under-tail (I’m sure there’s a more technical word for this…) – see header image. 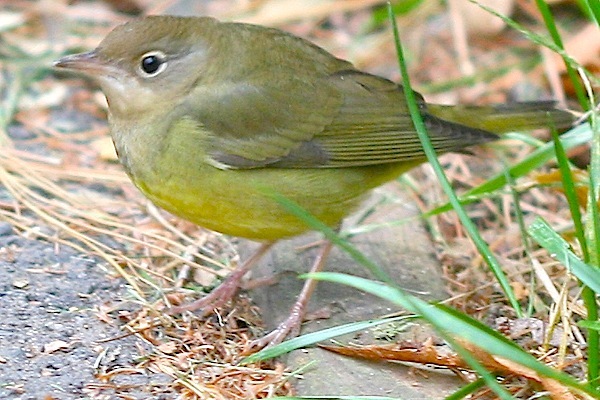 Only males have the black hoods and bibs; females have an olive-green cap. 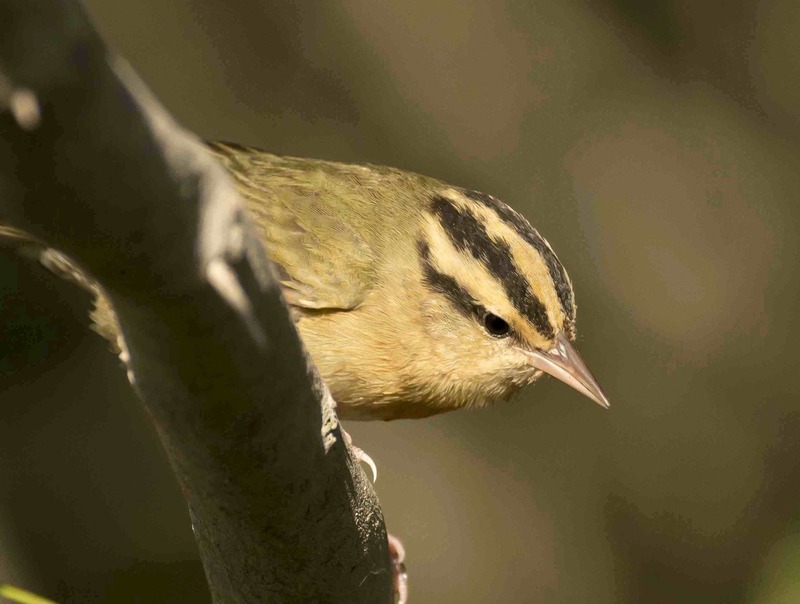 Hoodies forage for insects in low vegetation and dense undergrowth, or catch them by HAWKING from a branch or twig. 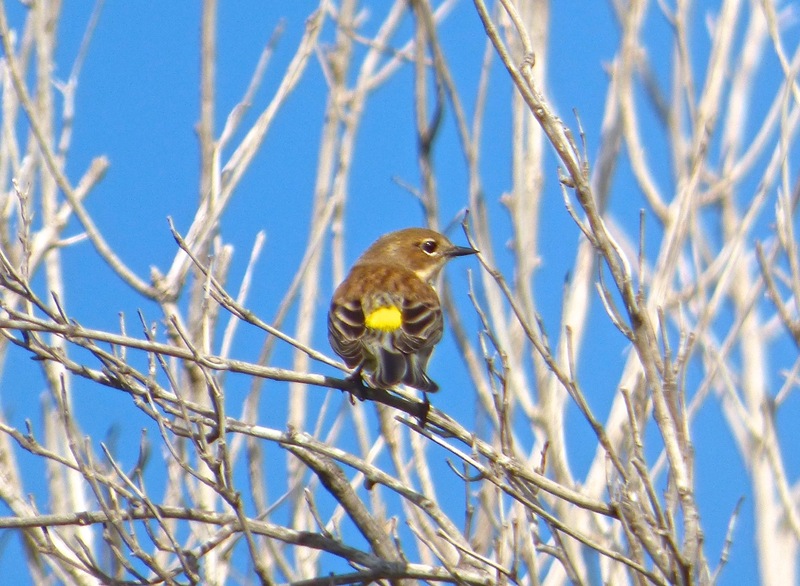 Sadly, they are one of the species that are targeted by brown-headed cowbirds, the cruel exponents of brood parasitism. 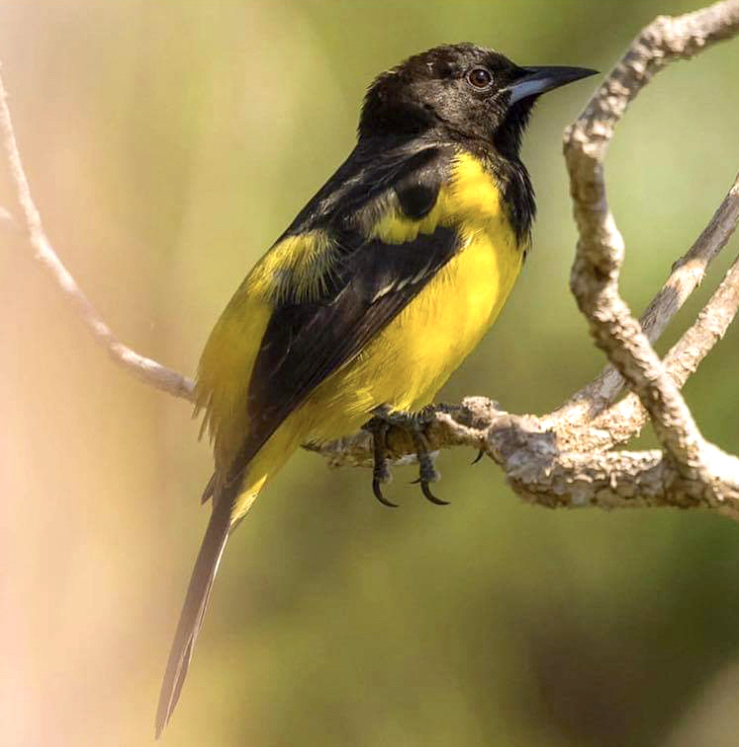 These birds are rarely found transients on Abaco at present, but they are a robust species and there is evidence that their range is increasing. In some areas there are controlled (euphemism for… er… dispensed with). 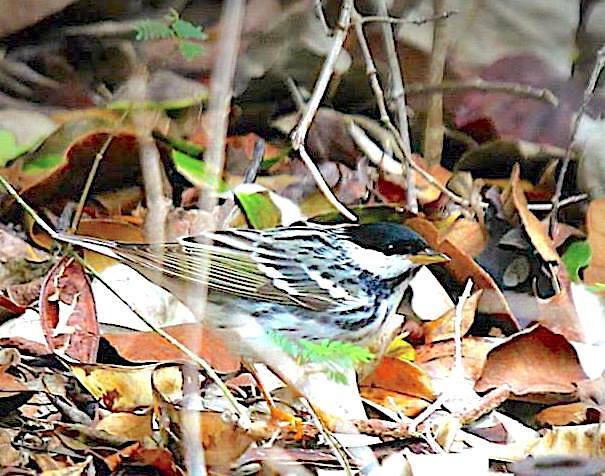 I’d favour that approach for Abaco, should they show signs of inflicting their evil ways on the resident breeding population of small birds. 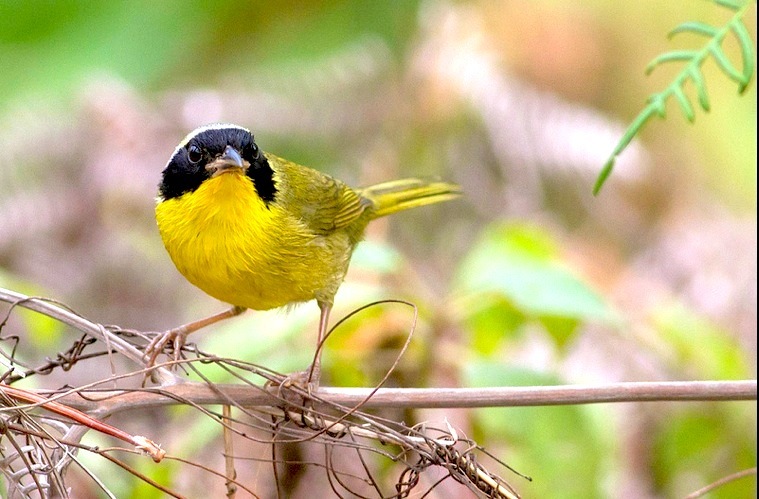 I am often at sea with the attempts to turn birdsong into to memorable words of phrases. Yes, a Bobwhite sounds a bit like a quizzical ‘Bob… White?‘. But I rarely ‘get’ the “I’d-like-a-Kalik-with-my-Conch” and suchlike. 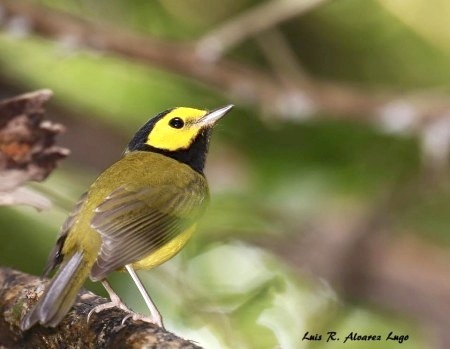 For what it is worth, I learn that for the Hooded Warbler “the song is a series of musical notes which sound like: wheeta wheeta whee-tee-oh, for which a common mnemonic is “The red, the red T-shirt” or “Come to the woods or you won’t see me“. See what I mean? 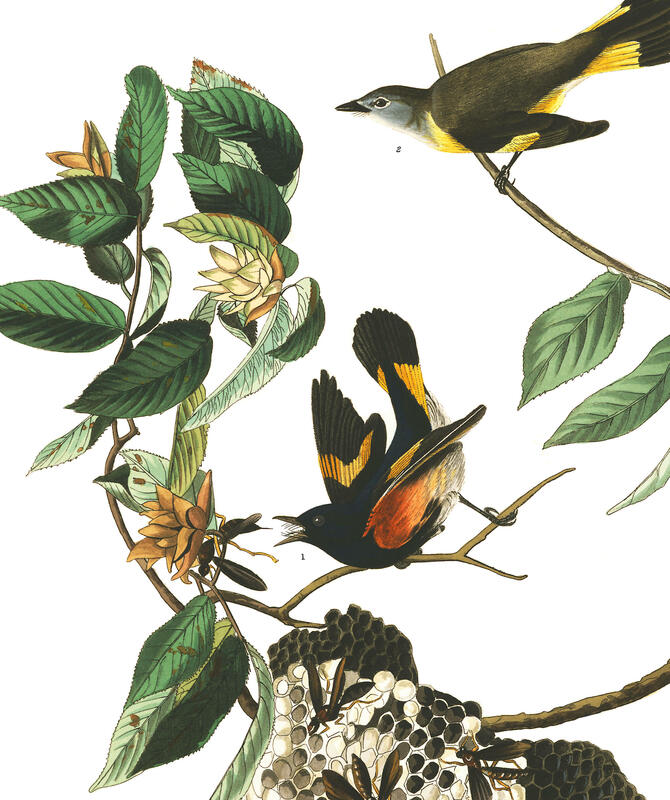 Anyway, we can all agree that “the call of these birds is a loud chip.” As with so many species! So here’s what to listen out for (recording: FLMNH). Suggestions for a suitable phrase welcome! 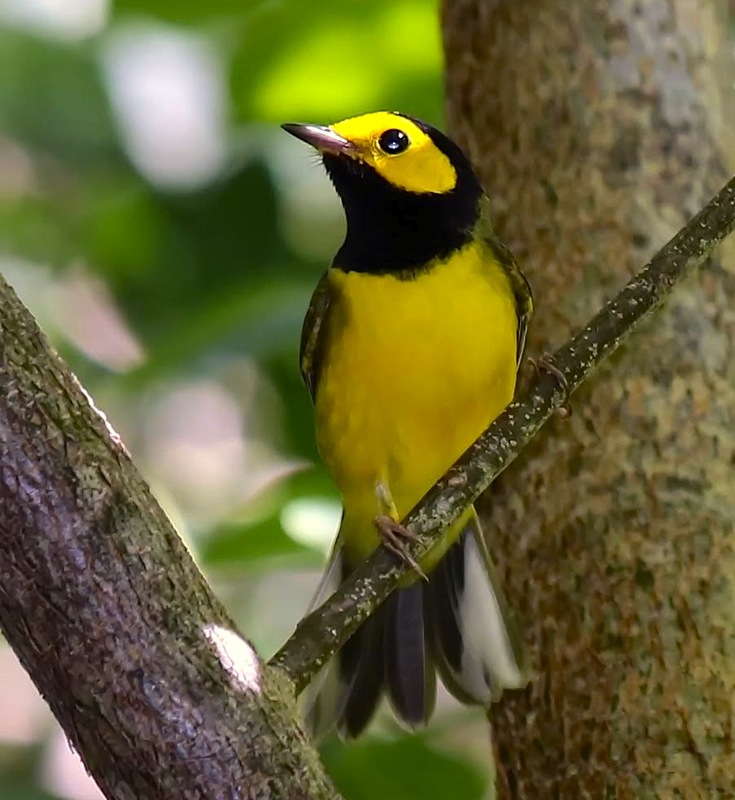 If you come across a bird that looks like a hooded warbler, but is motionless and makes no sound unless you squeeze it, you may have found the subspecies Audubonus stuffii, which is found mainly in the Amazon and E. Bay regions. I haven’t had time to musically divert for a while. My title refers, of course, to the ‘psychedelic pop’ song by Donovan, released in the US in 1966 and the UK in early 1967. The theory is that the song relates to the supposed (but mythical) hallucinogenic high to be had from smoking dried banana skins. There are an explicit interpretation for the ‘electical banana’ which we need not go into in a family blog. There was a rumour, now discredited, that Paul McCartney supplied the “quite rightly” in the chorus. Anyway, to chime in with the mood of the time, one of the first ‘coffee shops’ in Amsterdam was called Mellow Yellow. 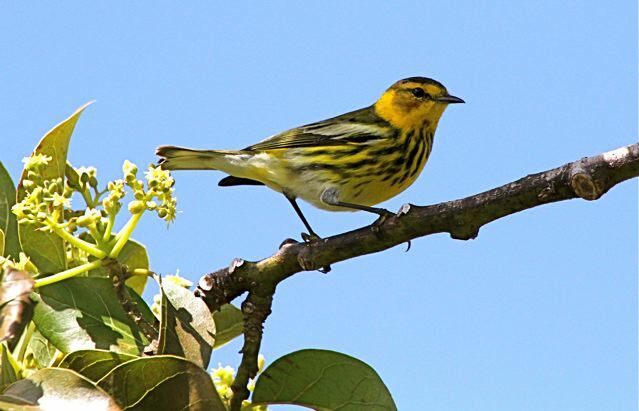 ABACO’S WINTER WARBLERS: ARRIVING ANY MOMENT! 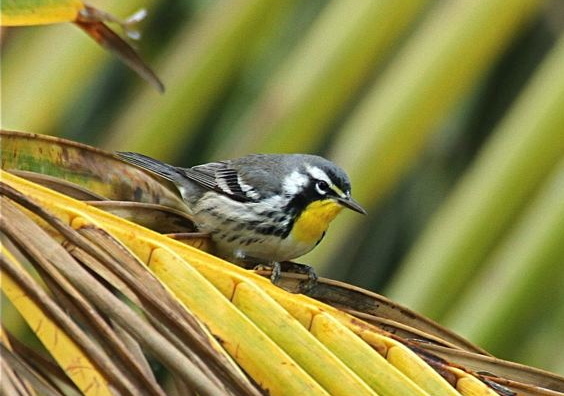 To celebrate the forthcoming influx of the ‘confusing fall warblers’ of the winter season, here is a reminder of my guide to the 37 warbler species found on Abaco, of which only 5 are permanent residents. The remainder are either winter residents of variable scarcity; or transients somewhat randomly passing through. 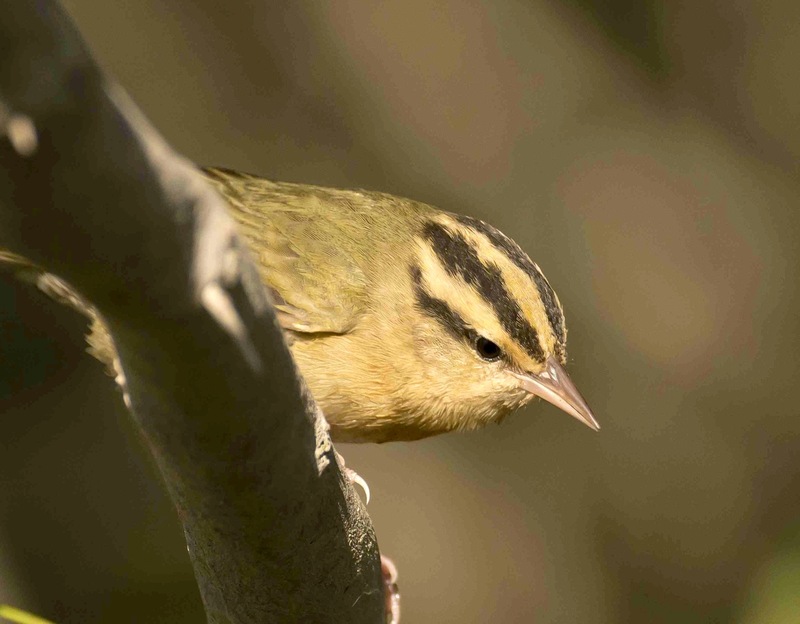 As ace birdman Woody Bracey has rightly commented on the guide, “One note of caution to new birders. 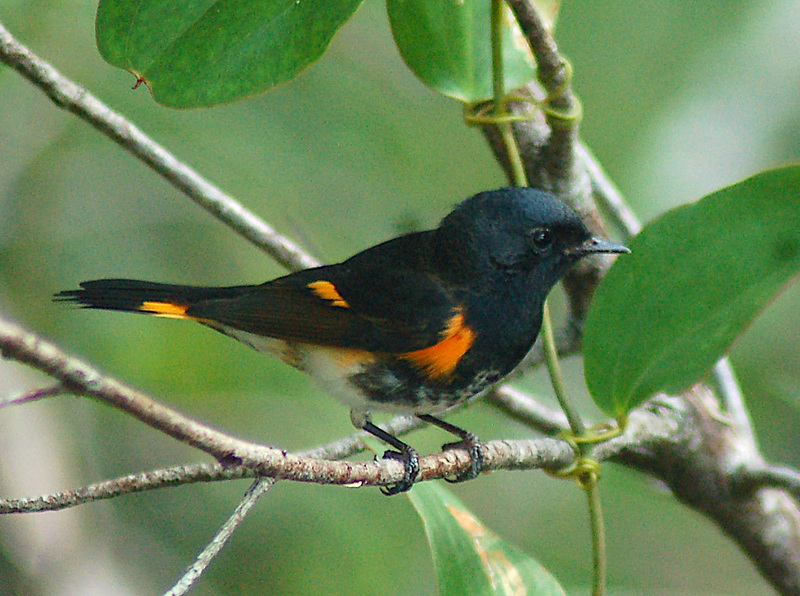 Most transients are seen in Abaco in the fall. They are not in bright breeding plumage at this time. 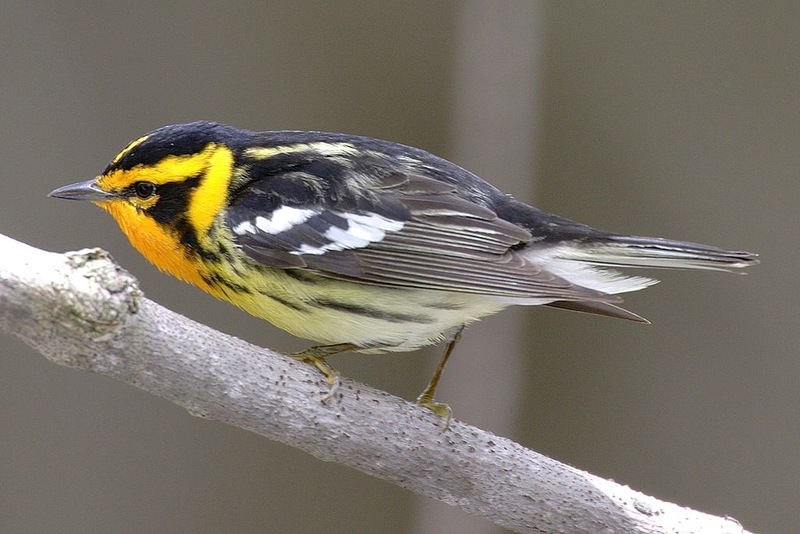 That’s why they’re called ‘confusing fall warblers’. 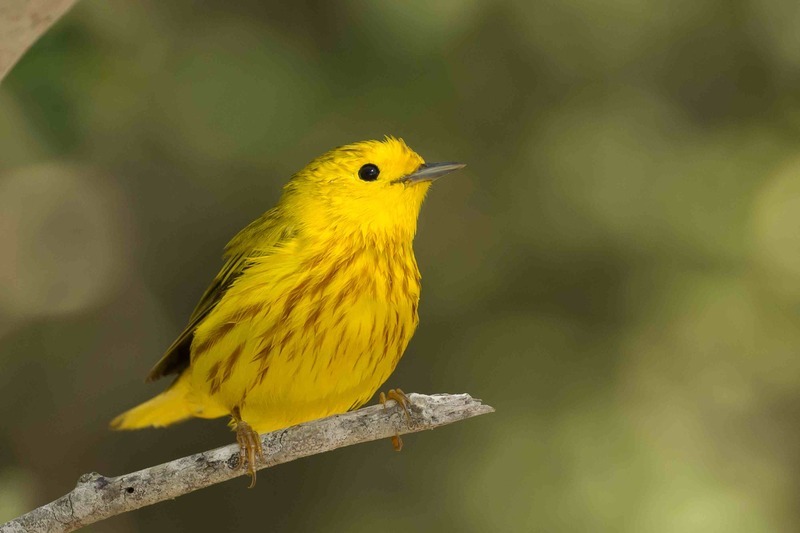 So don’t expect all the birds you see to look exactly like the photos. 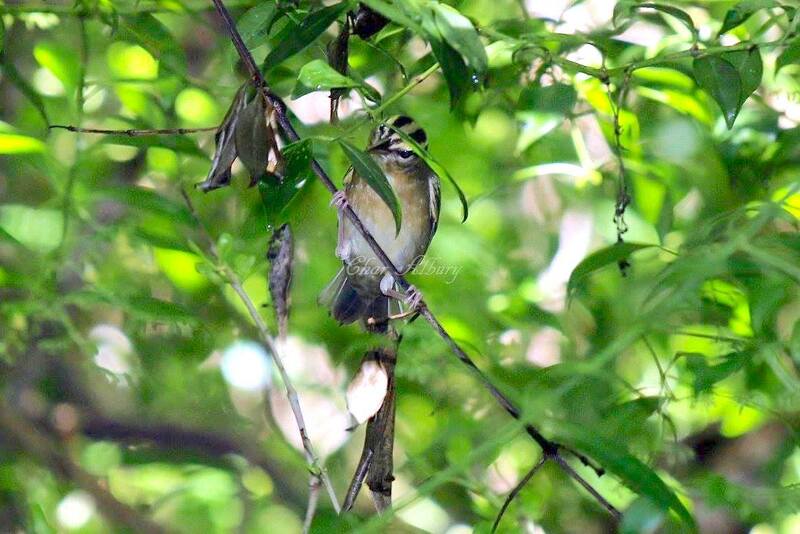 Females and juveniles are generally duller and may look very different from Spring males”. 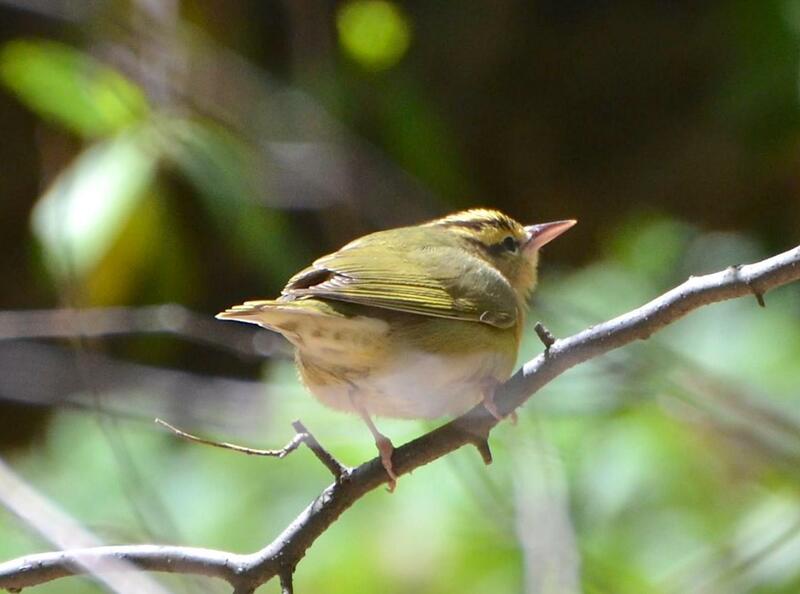 Last season, Charmaine Albury saw 22 of the possible warbler species on Man-o-War Cay, a remarkably good proportion for a small island (I’d be interested if anyone can top that in one location). 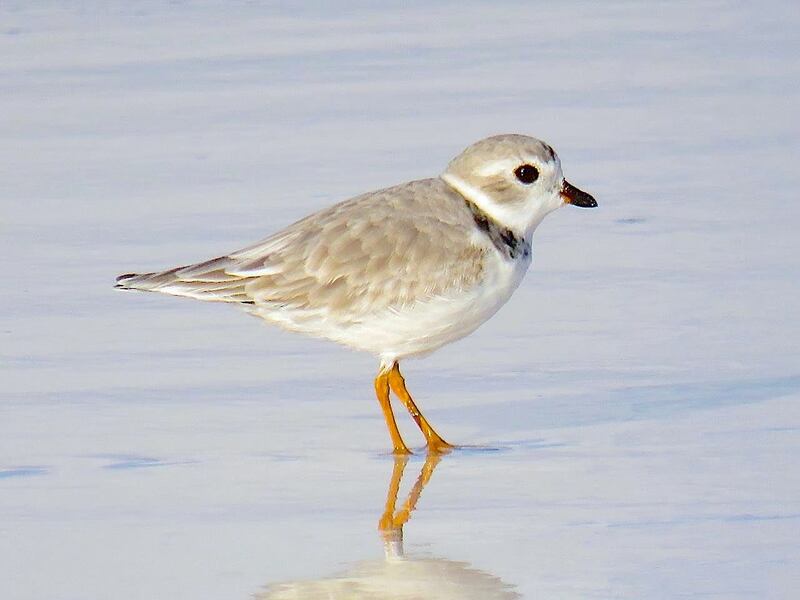 Add prolific shorebirds including piping plovers to the mix and it looks as though MoW is fast becoming a reliable hotspot for birding. 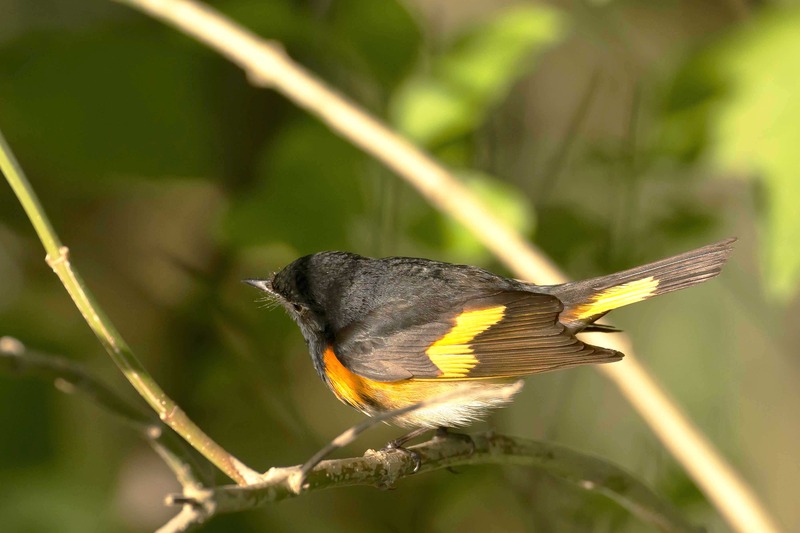 Charmaine’s species were: Yellow-throated, Tennessee, Common Yellowthroat, Yellow, Pine, Bahama, Ovenbird, Worm Eating, Northern Waterthrush, Black and White, Cape May, Redstart, Northern Parula, Black-throated Blue, Palm, Yellow-rumped, Prairie, Hooded, Prothonotary, Orange-crowned, Blackburnian, BlackPoll. 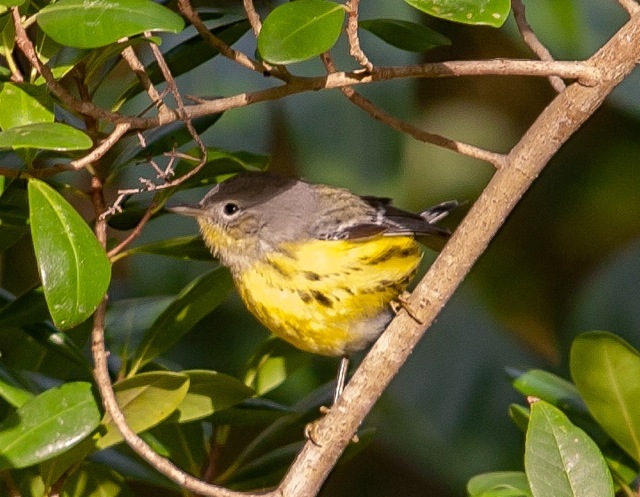 Until a couple of years ago, I lazily believed all of the warblers were (a) near identical and (b) yellow, differing only in their extent of yellowness. Not so. I know better now. 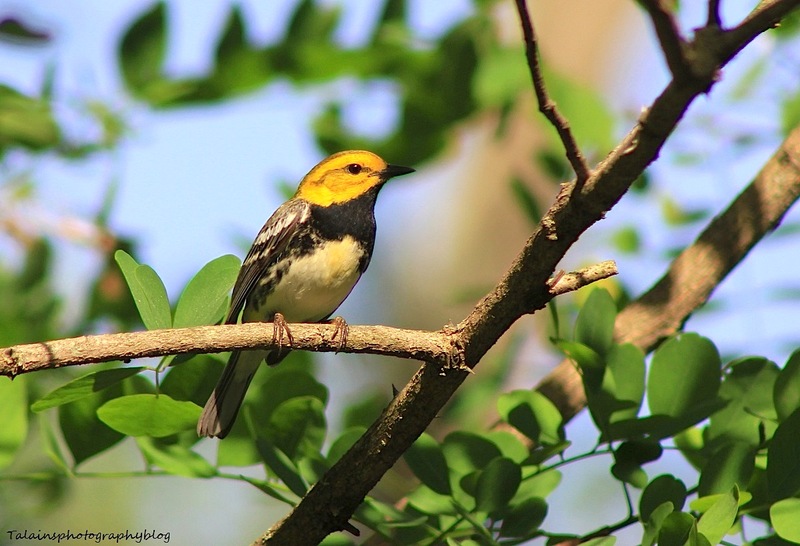 The seasonal migration prompted me to devise a general guide to all the various warblers, so that the great diversity can be appreciated. 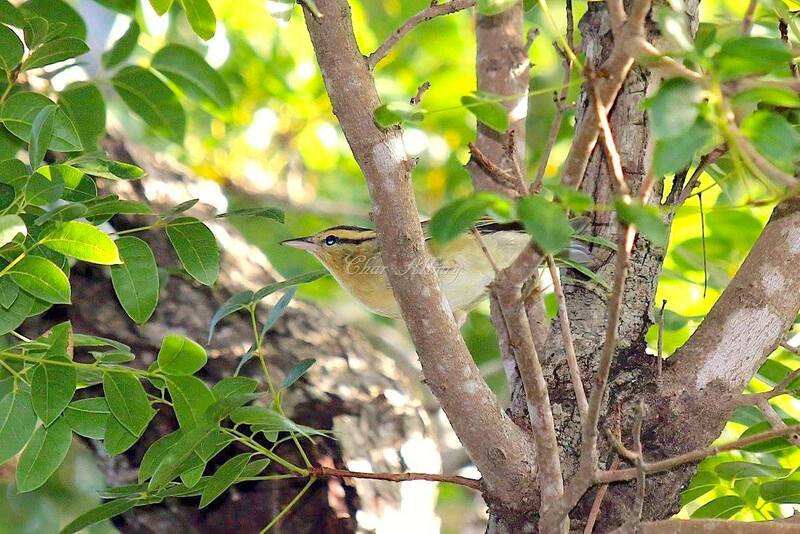 The photos that follow show an example of each warbler, where possible (1) male and (2) taken on Abaco. 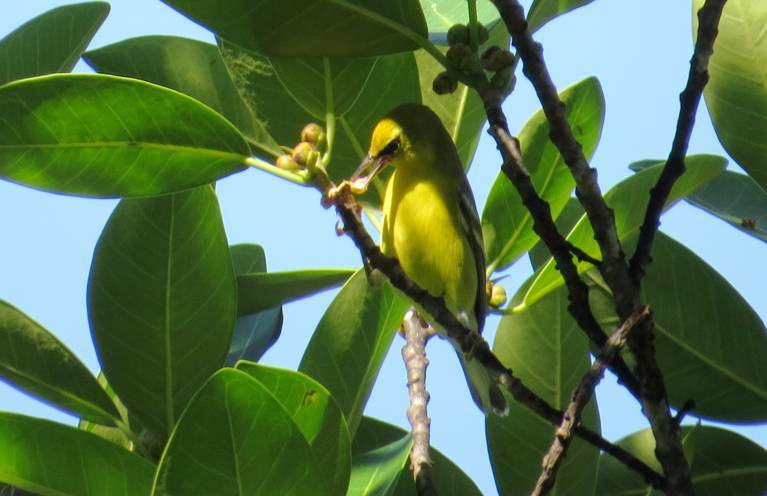 Where I had no Abaco images – especially with the transients – I have used other mainstream birding resources and Wiki. All due credits at the foot of the post.